Essential Coaching was originally published for the academic coaching audience, and has been consulted as a resource by almost 2,000 scholars worldwide. 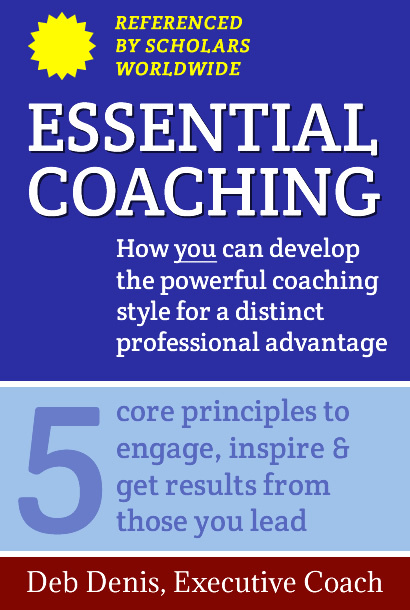 Now, Essential Coaching is being updated with results from the field of practice to show you how to use the coaching approach — proven to be one of the most effective styles of leadership — in your own work and life. Coming to you from Marion Grace Publishing.